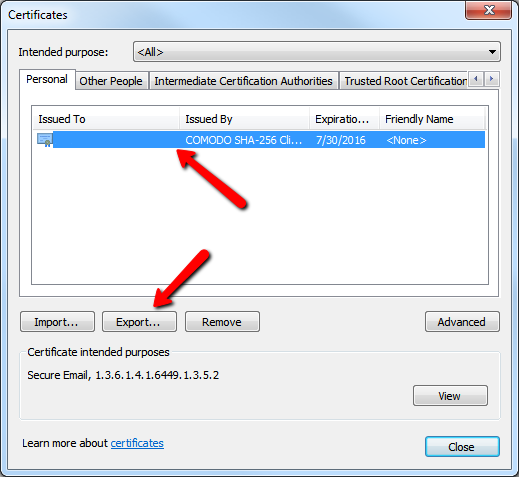 This guide will walk you through the process of exporting your third-party signed certificate for use in the Mumble application. Please click on the button below that corresponds with the browser you are using. 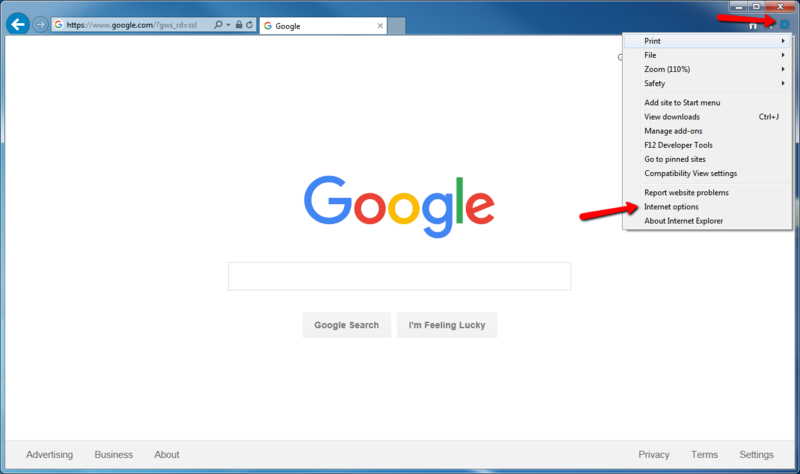 * Firefox is the recommended browser to export a certificate for use within Mumble. 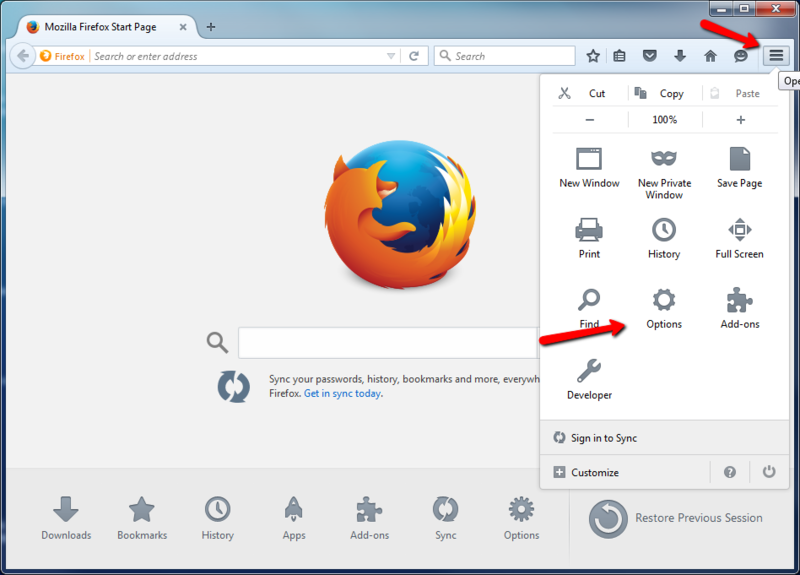 At the top right of the Firefox window please click on the "Settings" then the "Options" button. 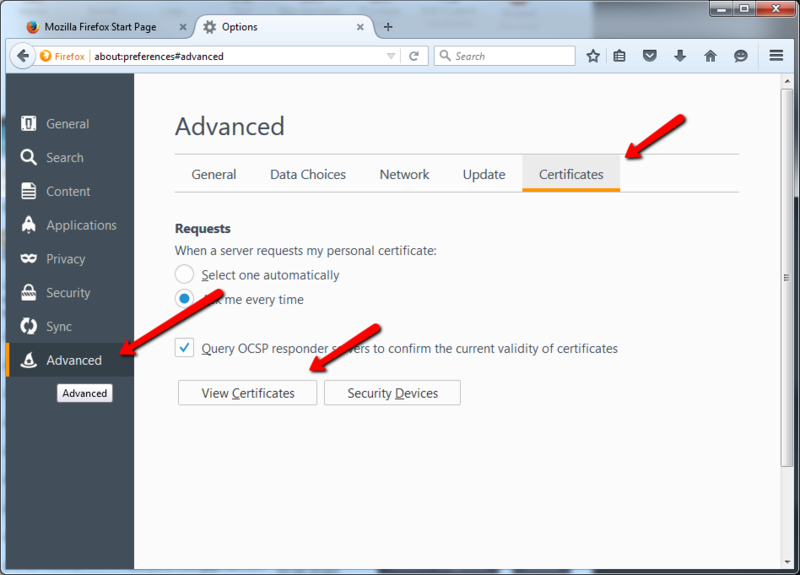 On the left side, please click on "Advanced" then on "Certificates" and "View Certificates". 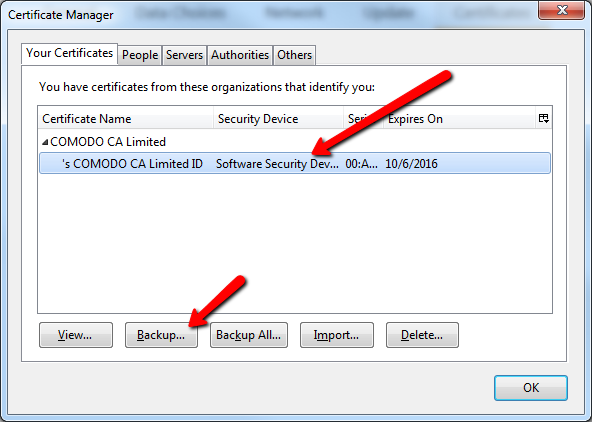 In the Certificate Manager, please click on the Certificate you have made and click on "Backup". 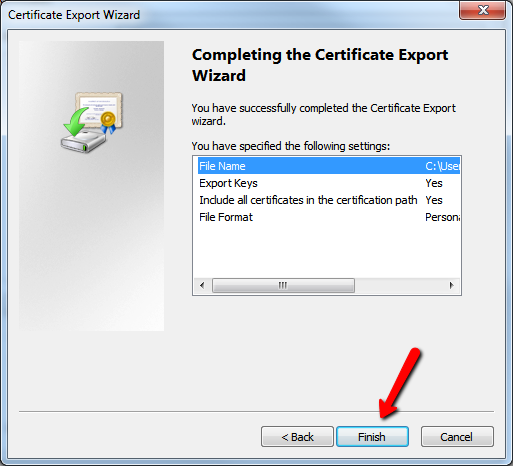 Name your Certificate so that you can find it later to import into Mumble. 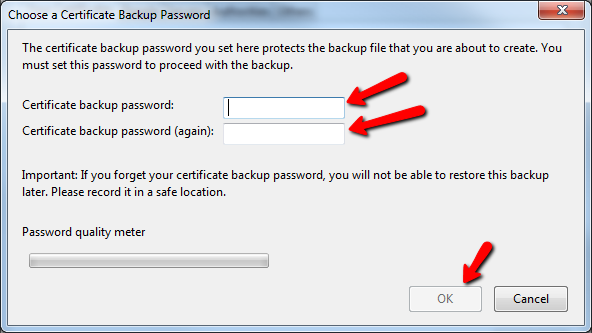 You must choose a backup password for your certificate to import later into Mumble. It is important to use a password that you will not forget, as you would not be able to use that certificate without your password. 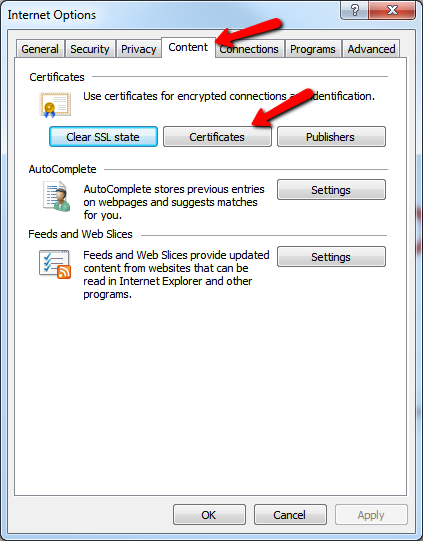 Once you have completed the steps above, the Certificate should be saved to your PC and able to be used in Mumble. 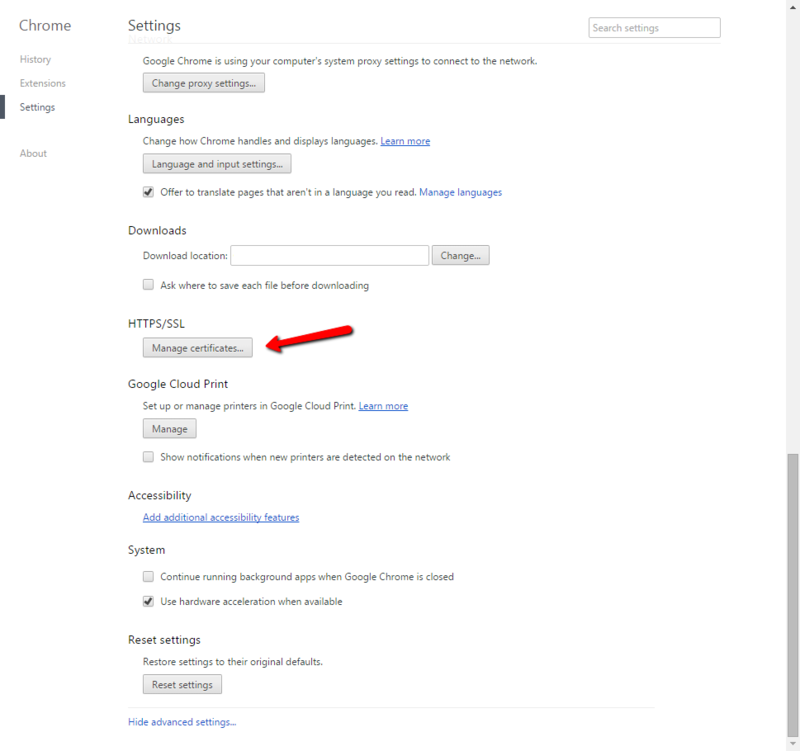 At the top right of the Chrome window please click on the "Settings" then the "Settings" button. On the bottom left please click on "Show Advanced Settings". 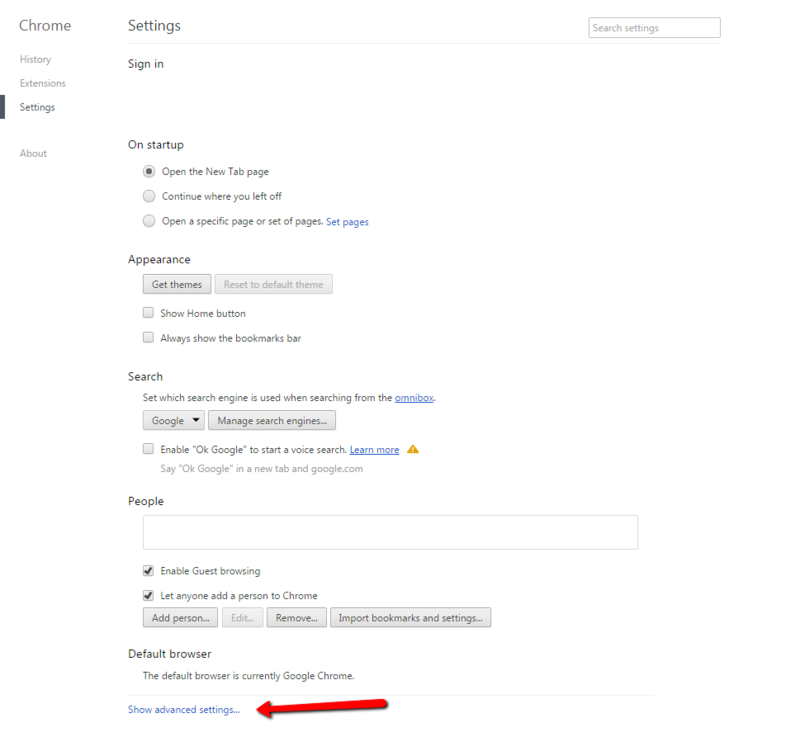 Scroll down on the Settings page until you reach "HTTPS/SSL" and Click on "Manage Certificates". 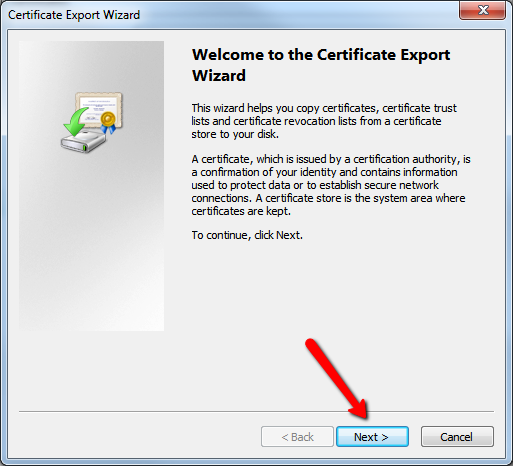 A "Certificate Window" will appear, please click on your certificate under "Personal" and click "Export". 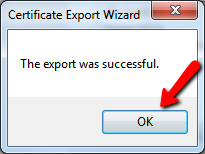 The Certifcate Export Wizard will start, please click on "Next". 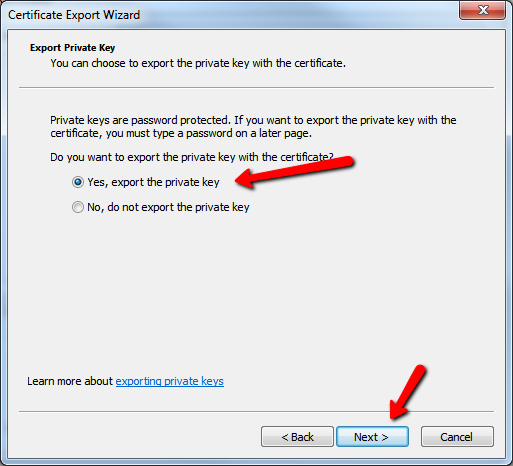 You must click "Yes" to export your private key or it will NOT work in Mumble. Then click "Next". 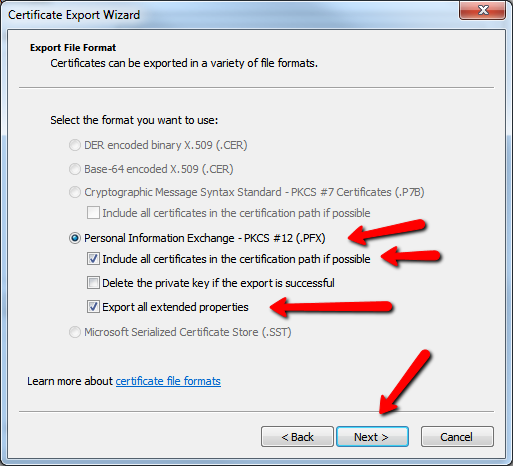 Please select the "Personal Information Exchange" option and check "Include all certificates in the certification path if possible" and "Export all extended properties". Then click "Next". 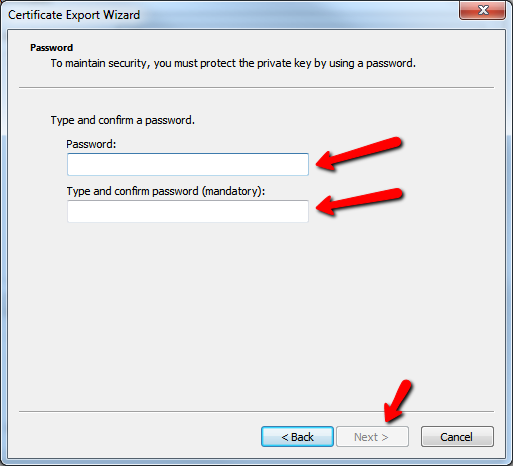 Please assign a password to your certificate. It is important to use a password that you will not forget, as you would not be able to use that certificate without your password. 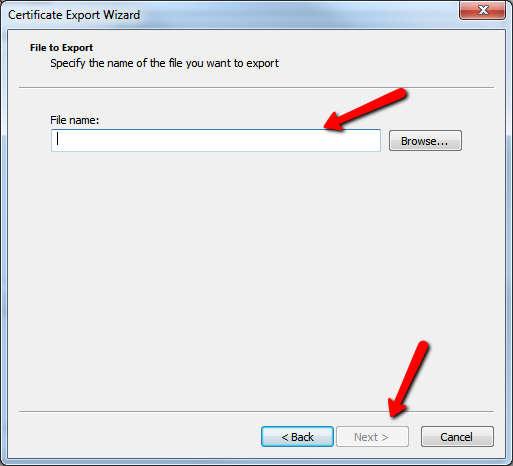 Name your Certificate and choose where to save it so that you can find it later to import into Mumble. Then Click "Next". 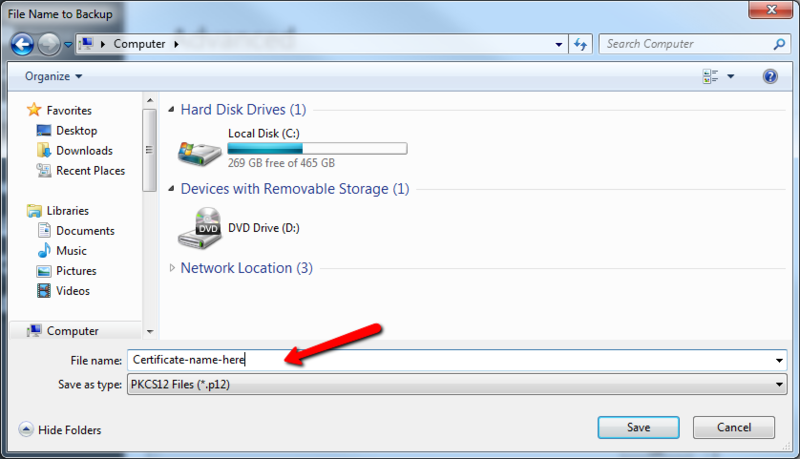 Please verify in the prompt window that you have selected the correct settings, then click "Next". If any changes need to be made, please click "Back" and make changes. 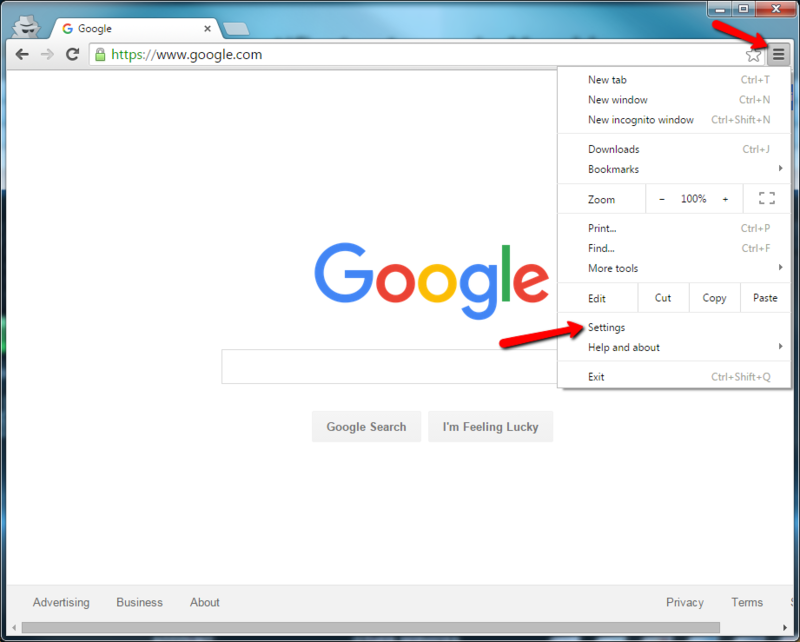 At the top right of the Internet Explorer window please click on the "Gear" then the "Internet Options" button. Please click on "Content" at the top of the Internet Options window then click on "Certificates".